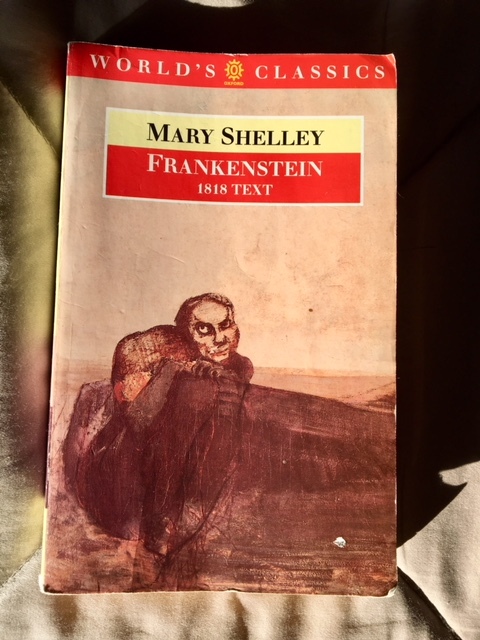 Mary Shelley, Frankenstein, or the Modern Prometheus: 1818 edn. 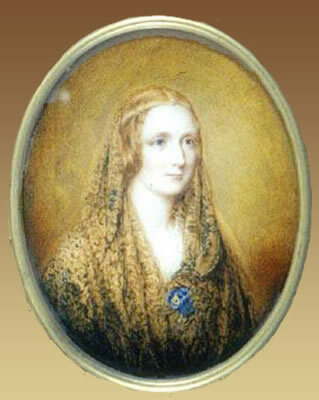 In my previous post I wrote about the tortuous gestation of Mary Shelley’s novel Frankenstein. It was written initially, when she was just 18, as a short ghost story at the Villa Diodati by Lake Geneva on a stormy night during the dark volcanic summer of 1816. With some input from Percy Shelley she redrafted the tale into a three-volume novel, pubished in 1818. In the first of a couple of posts I’ll look at a key passage. This is the moment (vol. I, ch. 3) when the young student Victor Frankenstein, adding modern sciences taught by his tutors at Ingoldstadt University in Germany to the earlier mystical texts that had previously enthused him, becomes obsessed with the current notions of ‘the life principle’ and creation itself. Here this narrative is recorded by Walton, on whose ship Victor is recuperating after being picked up exhausted as he pursues his Creature across the ice. I’ve used the online text at the Romantic Circles site HERE, which is useful for its numerous hyperlinks embedded in the text to scholarly glosses and background. I’ve removed these here and blended their content with other material that I hope adds context and clarity to what’s going in if you’ve not yet read the novel. One of the phænomena which had peculiarly attracted my attention was the structure of the human frame, and, indeed, any animal endued with life. Whence, I often asked myself, did the principle of life proceed? It was a bold question, and one which has ever been considered as a mystery; yet with how many things are we upon the brink of becoming acquainted, if cowardice or carelessness did not restrain our inquiries. Victor’s studies in anatomy would have been encouraged at Ingolstadt – its medical school was renowned. Mary Shelley would have gleaned much of her background material for his experiments and research from her reading (inspired by Percy Shelley) of the likes of Erasmus Darwin. It was a ‘bold question’, of course, because the ‘principle of life’ was a key concept in the vitalist controversy that I mentioned in my previous post. As I suggested there, the novel dramatises this debate. Victor’s note of arrogance and pride emerges at the end of that section; he implies that lesser mortals have baulked at the imaginative-scientific leap he believed himself to be making. He portrays himself as the opposite of cowardly or careless – or restrained. Already he’s showing unconsciously that his lack of ethical code is problematic, and that he is challenging divine retribution for his blasphemous career. I revolved these circumstances in my mind, and determined thenceforth to apply myself more particularly to those branches of natural philosophy which relate to physiology. Unless I had been animated by an almost supernatural enthusiasm, my application to this study would have been irksome, and almost intolerable. To examine the causes of life, we must first have recourse to death. His self-aggrandising tone becomes more marked here; the ‘almost supernatural’ nature of his ‘enthusiasm’ instils an element of the magical into his endeavours – possibly reflecting his earlier enthusiasm for the alchemy, mysticism and weirdness of the likes of Cornelius Agrippa, the Illuminati and Albertus Magnus, as noted last time. The symmetrical sentence at the end suggests a complacency, even pride, in his rejection of a moral code. His use of the grandiose ‘we’ distances himself from culpability or accountability, and positions opponents as lesser beings. Its epigrammatic tone of certitude has the stamp of authoritarianism, arrogance and overweening pride. I became acquainted with the science of anatomy: but this was not sufficient; I must also observe the natural decay and corruption of the human body. In my education my father had taken the greatest precautions that my mind should be impressed with no supernatural horrors. I do not ever remember to have trembled at a tale of superstition, or to have feared the apparition of a spirit. Darkness had no effect upon my fancy; and a churchyard was to me merely the receptacle of bodies deprived of life, which, from being the seat of beauty and strength, had become food for the worm. Now I was led to examine the cause and progress of this decay, and forced to spend days and nights in vaults and charnel houses. My attention was fixed upon every object the most insupportable to the delicacy of the human feelings. I saw how the fine form of man was degraded and wasted; I beheld the corruption of death succeed to the blooming cheek of life; I saw how the worm inherited the wonders of the eye and brain. I paused, examining and analysing all the minutiae of causation, as exemplified in the change from life to death, and death to life, until from the midst of this darkness a sudden light broke in upon me—a light so brilliant and wondrous, yet so simple, that while I became dizzy with the immensity of the prospect which it illustrated, I was surprised that among so many men of genius, who had directed their inquiries towards the same science, that I alone should be reserved to discover so astonishing a secret. Interesting that Victor insists that what he was engaged in doing in his researches was the opposite of supernatural; rhetorically, of course (Mary Shelley’s style is highly rhetorical, like her models, from Paradise Lost and the Bible to ‘The Rime of the Ancient Mariner’) by insisting on what he was not scared of he imbues his work with those very qualities. The catalogue of Gothic and gruesome detail that follows reinforces this effect. His use of passive verbs (‘I was led to…’; ‘and forced to…’; ‘My attention was fixed’) indicates that he believes his progress was the result of some force greater than himself, not his own volition. He’s also trying to impress such a view on his silent interlocutor, Walton. His egotism (‘I alone’) emerges strongly at the end here; his discovery surpasses all previous scientists’ work; they could have discovered his ‘astonishing’ secret if only they’d had his genius. The ‘light’ imagery emphasises proudly his ‘enlightened’ approach, aligning himself with the great discoveries and concepts of the previous century. The ‘dizziness’ he felt once more indicates his intoxication with his work in his ‘filthy workshop of creation’. Another passive voice here (‘should be reserved’) continues the effect noted above. He’s removing agency from himself. In a tragedy this would represent hubris in Victor. Next time I’ll look at the continuation of this passage, and more. 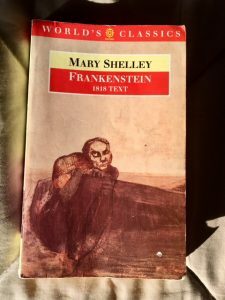 This entry was posted in English Literature and tagged Frankenstein, Mary Shelley, Paradise Lost, vitalist controversy by Simon Lavery. Bookmark the permalink.